Enjoy the top 2 famous quotes, sayings and quotations by Deepak Menon. I suggest you all ask your mothers to make you some smiles and keep them in your pockets. If you ever find any one feeling sad or frightened or angry, then you can give them a smile and you will see what a change takes place. 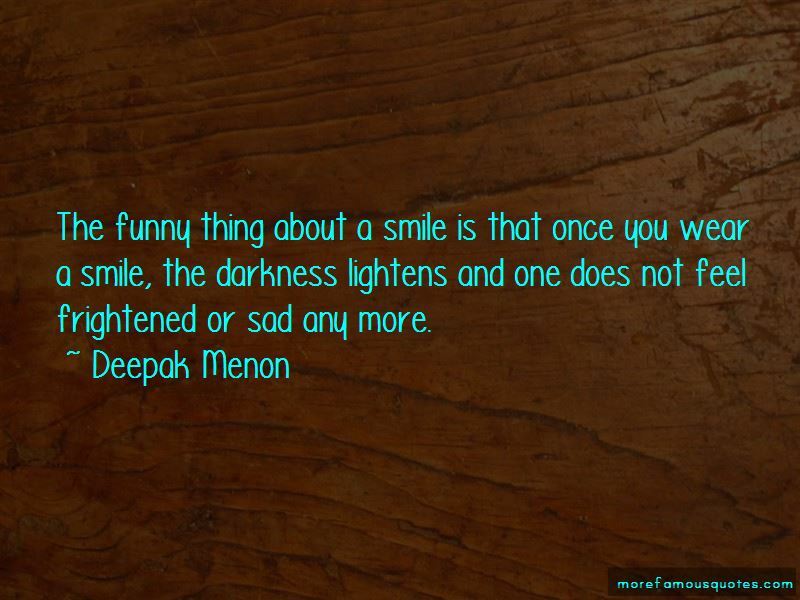 Want to see more pictures of Deepak Menon quotes? 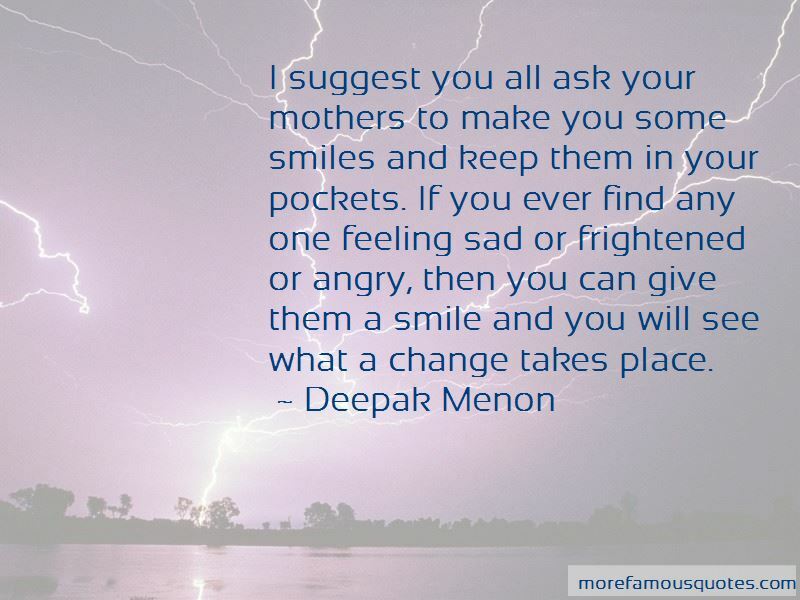 Click on image of Deepak Menon quotes to view full size.